Get the greatest sleep outdoors on the best cots! If you know you're going to a place that's hotter than you're used to, or if you're old bones might be asking for a break from sleeping on the ground, then it might be time to get a cot for camping. We're here to show you the best options for sleeping outdoors on a cot. When do you need a cot? The best time to use a cot is when you're camping during the summer/warmer times of the year in wet climates, because a cot is meant to get you up off the ground. By raising your self off the ground you're creating airflow around the spot where most of your body heat is lost, under you. So being up off the ground is going to help you stay cooler and dryer with a cot. Up high or down low ? There are different heights when choosing a cot, you don't have to be 18 inches off the ground all the time. Sometimes all it really takes to get comfortable is 2-3 inches to allow for cushion. A new style in cot design, the bow with mesh lining, offers the same ability to raise you up off the ground to improve air flow, but also uses struts that are bowed and will offer a comfortable amount of cushion. The mesh fabric allows heat put out from your body to escape easier from underneath you, which makes this a great option for summer camping or hot situations. The number one complaint about cots is that they're so dang uncomfortable! So to ease that woe in a relatively cheap way you can purchase a relatively thin layer of memory foam (2"-3"), and throw that on the cot to add some cushion. You'll lose a bit of air flow which will make things hotter, but you'll certainly be more comfortable! These camping cot mattresses come in many variations. The future of cots has arrived! 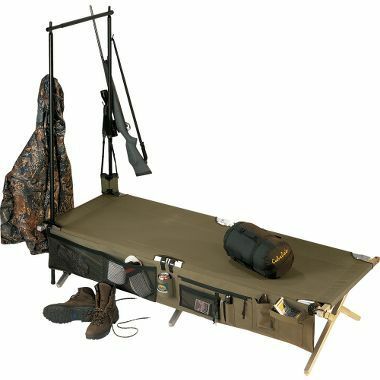 The ultralight bow frame cot from Therm-a-rest is changing the game quickly. At a carry weight of less than 4 lbs, and sleeping comfort that is unmatched by a frame cot of any kind, the luxury lite cot is a clear winner! Also, with an assembly time of less than 5 minutes, this cot makes camping or enjoying the outdoors overnight look easy. Here it is, the starter cot for most campers and outdoorsy folks, the Coleman ComfortSmart Cot. This cot will forever go down in history as one of the most popular and easy to use cots on the market. It's got a lot of positive and negative aspects about it that have made it so famous. First of all being able to support 275 lbs makes this a very sturdy camping cot! If you're a bigger guy or gal then this is the cot for you. The Kwik Cot means it when they say "oversize", because this cot can fit someone who's 7 ft tall comfortably on the 84" x 33" sleeping surface. And the set up/break down time for this cot is mind blowing with an average of 2 minutes to completely assemble the cot! A small feature that would likely go un noticed by those who don't appreciate the simple luxuries is the side pocket. When you're camping this side pocket is the equivalent of a sturdy night stand​. One of those things you don't miss until you don't have it. However, what makes this cot one of the best is also what makes is hard to handle, which is the size of it. 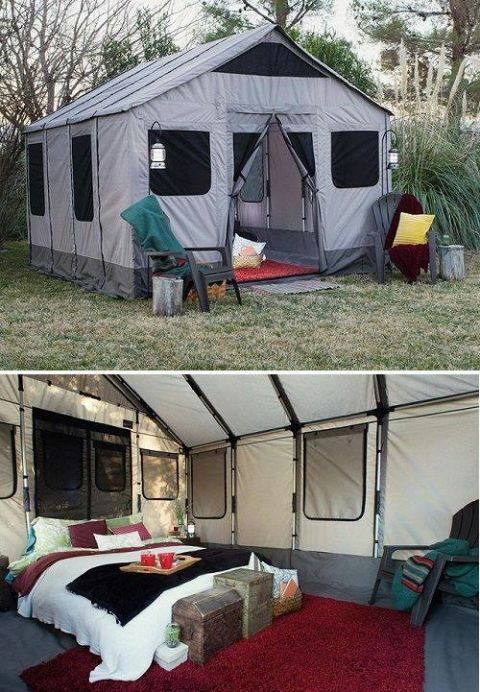 If you're using it inside a tent, you'll want to make sure the dimensions work before you buy this. And the extra room on the cot means extra weight to carry, so if you're looking for a cot that you would bring with you then this might not be the one. This cot is the in between for a larger cot that is also a little lighter weight. The Coleman Trailhead II is able to comfortably sleep someone who's 6'2" and 300 lbs. That makes this cot great for someone who's on the taller side, who also enjoys the outdoors. The Coleman is another cot that isn't exactly trail friendly, meaning if you're going to be carrying this cot for a long period of time, the 19.8 lbs that it weighs could get considerably heavy. 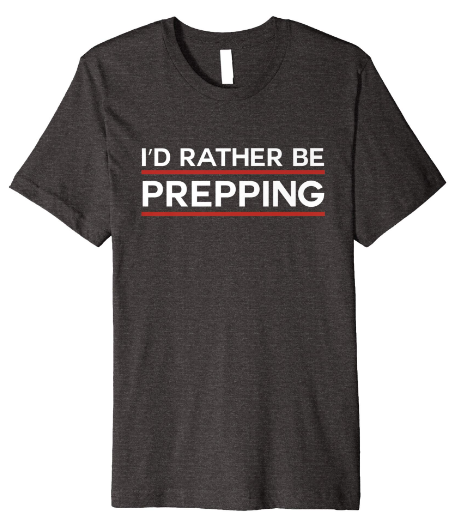 And when folded to it's "compact" size​ of 40.2 in. x 7.9 in. x 3.9 in., it's not exactly something you can put in your hunting pack.